Magaosi’s claim to fame were their multi-balanced armature earphones, especially the K3 and K5. They got a lot of attention on the international scene for these products, but the company also manufactures earphones in the lower end. The Magaosi BK50 are hybrid in-ear headphones that put together a dynamic driver with a balanced armature in a typical configuration. Disclaimer: thank you to AK Audio for sending me a sample I won’t have to return. They sell it on AliExpress at $25.99. 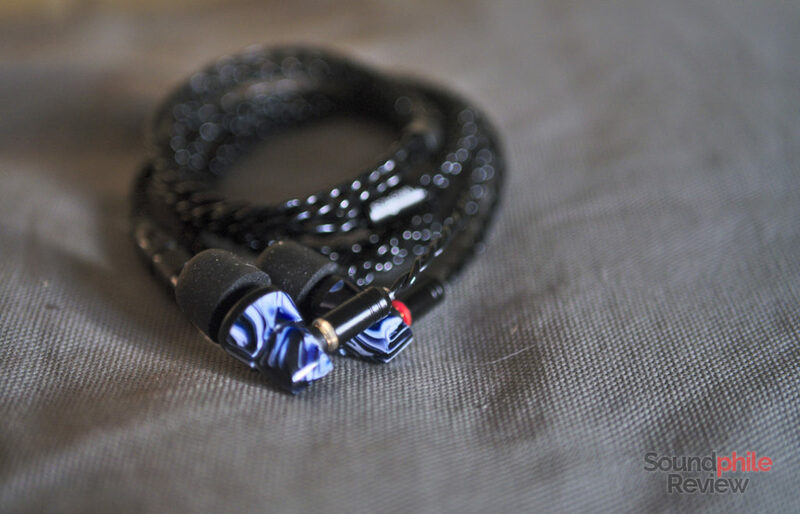 It doesn’t happen often that a sub-$100 IEM comes with so many accessories. The Magaosi BK50 come with a cable, three sizes of silicone eartips and three pairs of foam eartips, plus a hard carrying case covered in protein leather. It is this last bit that is especially welcome and unusual at the same time, as most sub-$50 earphones do not come with a case. The Magaosi BK50 are made of either metal and wood or resin. The model I got is the resin one, the housing of which is made mixing two different colours and creating a whirling texture that’s unique to each unit. The effect is surely striking and lends the BK50 a unique look. The almost pointy design of the housings also helps giving the headphones distinctiveness. The part of the housing that faces the ear and includes the nozzle is made of metal painted black. The Magaosi BK50 feature a detachable cable, so you can choose the one you think is best; alas the company chose the MMCX standard which is not exactly the most durable out there, despite being the one with the firmest grip. I can’t find any faults in how the Magaosi BK50 were built; in fact they are really well built and a notch above the average in this price range, when looking both at the earpieces or at the cable. The materials used are solid and assembled well, so these seem to be made to last. Despite being completely closed, the Magaosi BK50 offer little isolation and can’t effectively reduce the volume of outside noise, irrespective of which eartips I use. In fact they always forced me to raise the volume in order to correctly hear the music on public transport or in other similarly noisy situations. The Magaosi BK50 are theoretically shaped so that one wears them with the cable hanging down; as we’ll see later, this is not the best way to use them and it is almost mandatory to use them with the cable around the ears. The angled nozzle and asymmetrical shape would make one think that using the earphones upside-down would be uncomfortable, but it isn’t at all. They are therefore quite universal – one can wear them however they like. Now, comfort is good, yet it is more dependent on eartips than usual. The foam tips Magaosi provides are rather stiff and can be fatiguing, while the silicone ones did not properly fit my ears (and that’s, of course, very personal, so take it with a pinch of salt). I found it difficult to find a comfortable position without the right tips, which in my case were the Comply Comfort. 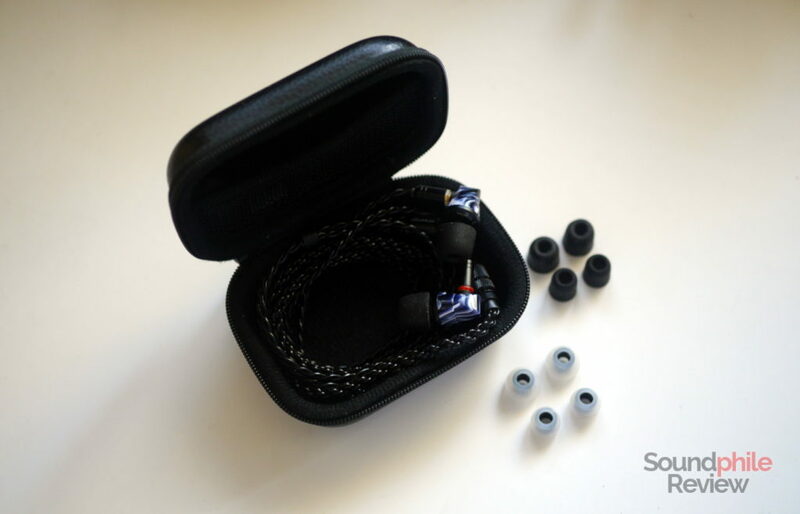 The main issue with comfort is the cable that is highly microphonic, but there are otherwise no apparent issues and the earphones are comfortable to wear even for prolonged sessions once you find the right tips. As I anticipated, the cable is well-built and solid; it uses four cores that then split up into two groups of two cores going to each channel. 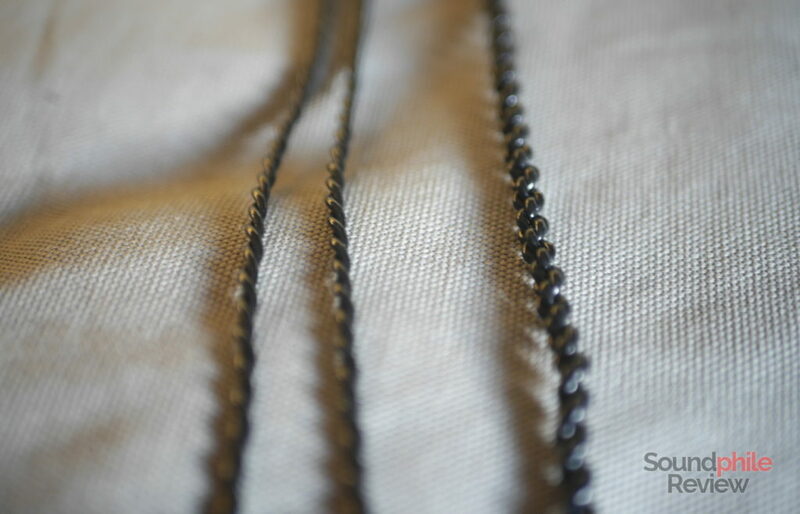 The quality is high enough to be comparable with aftermarket cables such as the Yinyoo 8-core SPC cable (though the BK50’s cable core are a bit larger than those of the Yinyoo cable). It is soft and malleable and light enough not to feel its weight in longer listening sessions. Alas the cable is not as good when it comes microphonics: if you don’t make it run around the ears, it is bound to thunder your ears with every pace. If you do, however, the listening experience is greatly improved (and comfort, too). In order to test the Magaosi BK50 I used the following equipment: Topping DX7, Topping D30 feeding a Venture Electronics RunAbout 2.0bl, Cayin N5ii. 100 hours of break-in were applied. Source files were all FLACs (in standard resolution). Most of the hybrid IEMs I tried so far were heavily V-shaped and the Magaosi BK50 is no exception. Though it only has one dynamic driver and one balanced armature, the Magaosi BK50 is somewhat similar in tuning to the KZ ZS6 which has two dynamic drivers and two balanced armatures. This includes deep lows and sizzling highs, which are indeed entertaining but not really balanced. One thing I did not expect was to find the Magaosi BK50 to be so good in the technical department. While they’re not meant to compete with higher-end headphones, they’re really good in all the aspects. 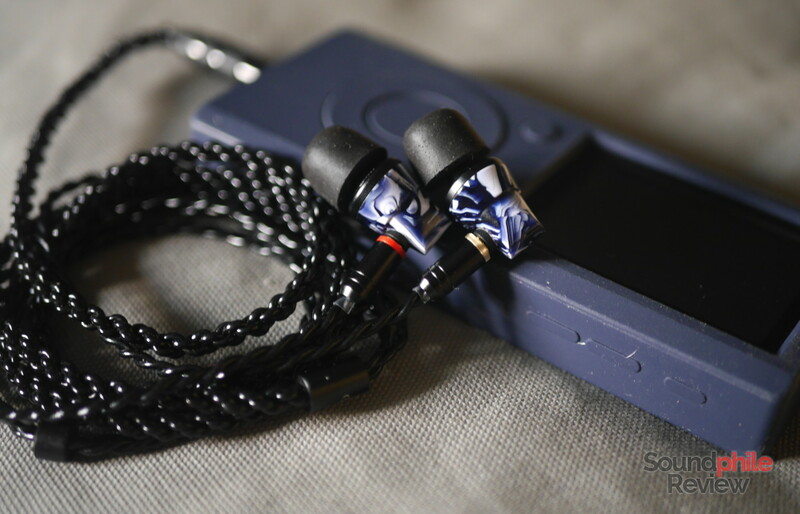 Soundstage does not sound like it is that of a closed-back IEM, as it is decently wide and even deep, so the sense of space is well developed. Imaging is right on par with soundstage as it has above-average precision, and instrument separation is great – the sound is very clear and it is easy to tell the different instruments apart. 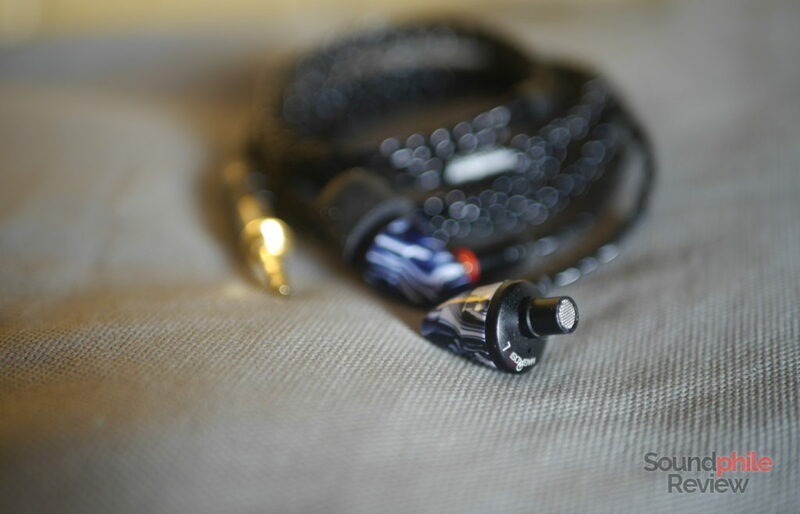 If you like booming bass, then the Magaosi BK50 are the earphones for you. There is a big bump in mid-bass, which is very prominent and even a bit overwhelming at times. The emphasis does not involve sub-bass, which is actually a bit shy and not on par with the rest of the lows. Despite this issues regarding quantity, the quality is more than decent: speed is enough to let you feel drumbeats and the rhythmic base in electronic music (e.g. Solar Fields’ Cobalt 2.5). There are limits as the BK50 can’t keep up with the most intricate songs where multiple layers overlap, but it’s otherwise a very competent bass section that is surprising in how it can portray frequencies with good accuracy and detail. Talking about detail, it is actually way better than I expected and competes with headphones twice the price. Midrange is similarly flawed when it comes to tuning as it is not as balanced as ideals would impose. Emphasis on upper midrange and lower treble makes sibilance especially notable: “s” and “t” sounds are much more pronounced than they should and are even a bit harsh. Midrange is otherwise recessed and heavily dominated by both bass and treble. Quality is (luckily) another story entirely: there area really lots of details to be found here, and there is an unexpected speed that lends sound a very nice sense of impact. Drums, hands clapping and other fast transients sound really good on the BK50 – as a practical example, Avenida das Mangueiras by Azymuth and Unsquare Dance by the Dave Brubeck Quartet have hands clapping that always sound natural in terms of speed and detail. These two things may be the best features of the midrange. If the Magaosi BK50 can be faulted for anything, that would be treble: it is harsh and screechy, aggressive to the point it’s sometimes annoying. Yes, it has some decent extension which make it a bit airy, but that doesn’t counterbalance the aggressiveness which is concentrated in the lower area. Yet there is a lot of details portrayed that really pop up thanks to the emphasis and that is indeed a good thing in a few tracks. Even fine details are there in large quantities, so I may say that treble is technically accomplished. Given the heavily V-shaped signature, I would say that the Magaosi BK50 are best used to listen to modern genres, as things such as jazz or classical do not sound that good in my opinion. KZ ZSA: the ZSA are a bit of a mess in terms of tuning, as they’re not coherent and have peaks that undermine its balance. So, despite the peak in the treble, the BK50 appear as the better option – at least they never gave me headaches. In terms of technical ability, the BK50 are superior in every sense. RevoNext QT2: there is much more balance in the QT2, as they are not as heavily V-shaped as the BK50 and their treble is not as aggressive. I think they’re overall much better in terms of tuning as they are much more balanced, with emphasised bass and treble that never come across as overwhelming or excessive. Technically speaking, the BK50 are a bit better at showing detail in the treble area, but it’s otherwise very similar in everything else. TRN V80: the TRN V80 are similarly V-shaped, but their tonality is a bit brighter. Bass is a bit deeper and treble is not as aggressive, while midrange is (alas) similarly recessed. In the end, the V80 is a bit more balanced and sounds better with a wider variety of genres. Detail retrieval is similar. Instrument separation is better on the V80, but soundstage and imaging are better on the BK50. Overall they are similar, with the V80 having the upper hand in terms of tonality. Tin Audio T2: the Tin Audio T2 are the acoustic opposite of the BK50, as they strive for neutrality and balance whereas the Magaosi are heavily coloured. 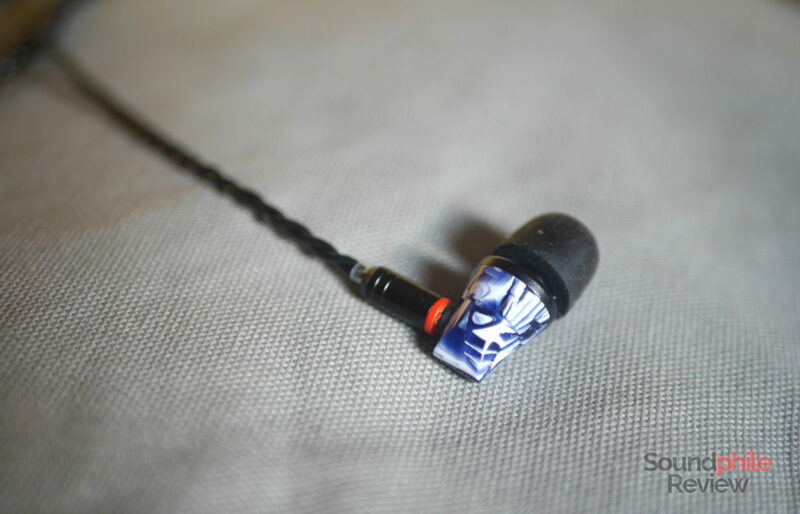 In terms of quality, the T2 are indeed better in everything but bass depth, where the BK50 win the comparison. In terms of technical ability there is almost no contest, as the T2 always have the upper hand – be it detail retrieval, soundstage width and depth, instrument separation or imaging. All considered, the Magaosi BK50 are not bad at all and their only notable flaw is an excessive presence in the lower treble area that produces unwanted harshness. They’re otherwise interesting and engaging; they’re also well-built and the cable alone may be worth the investment (I’m joking, but not too much…). At around $30, they are a solid choice if you are looking for V-shaped headphones, though they have to compete with products such as the RevoNext QT2 and the TRN V80 that are actually better on most fronts.